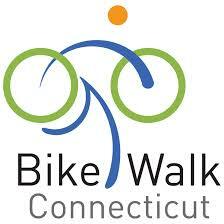 The 2016 Connecticut Bike Walk Summit presented by Bike Walk Connecticut will be held on Friday, June 3 at Memorial Hall at Central Connecticut State University in New Britain. This year we expect 100 registrants with a strong focus on municipalities and organizations looking to create bikeable and walkable communities in Connecticut. There will be a limited number of exhibitor spaces available. You'll get one free registration to the conference for each day that you exhibit. Lunch is included. Premier, Platinum and Gold business members may exhibit at no charge. for citizens, policymakers, and professionals, featuring Mark Fenton as keynote speaker. Our summit brings together municipal leaders and citizen advocates from across Connecticut to get the latest biking and walking updates from around the state and to learn how to make our communities more bike and walk friendly.